Massive Savings on Canaries Cruises. The Canary Islands have long been a popular spot for holidaymakers to visit. With such delights as Lanzarote, Fuerteventura, La Palma and Tenerife to explore, a holiday to any one of these islands would surely secure you a good time. So you can imagine the temptation to go on a cruise to the Canaries, a type of holiday that allows you to explore more than one of the islands during your time in this region. Let’s focus on how Canaries cruises are planned, so you get a better idea of what you can expect if you book a cabin on one. 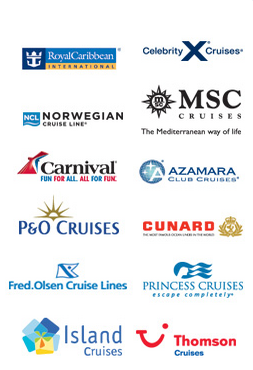 Which ports of call do Canaries cruises visit? If you leave from England (Southampton is a popular port to begin such a cruise from) you can look forward to visiting other ports en route to the Canaries. A good example is Vigo in Spain and Lisbon in Portugal, both of which are on the way across to the Canary Islands. Gran Canaria is a popular point to stop at, as is Tenerife. Santa Cruz de Tenerife, Las Palmas, Funchal, Barcelona and Cadiz can also pop up frequently as ports of call on a Canaries cruise. As you can see it is possible to enjoy seeing something of Spain, Portugal and even a couple of other countries if you want to cruise all the way to the Canary Islands. Agadir in Morocco is another featured port of call for some Canary Islands cruises, and offers some very memorable shore excursions. To get a better idea of what a Canaries cruise has to offer, it is a good idea to explore the step by step itineraries of some popular cruises on the market today. For example the Norwegian Cruise Line (NCL) offers a cruise departing from and returning to Barcelona – ideal if you want to try a cruise and stay holiday. You will visit Funchal, Santa Cruz de Tenerife, Arrecife and Granada before returning to Barcelona at the end of a nine night trip. Another Canary Islands cruise is offered by Crystal Cruises. This departs from Barcelona and heads across to Malaga before heading for Cadiz, Casablanca, Gran Canaria, Santa Cruz de Tenerife, Madeira and Lisbon, where the cruise ends. This is an eleven night trip, allowing much longer to be able to explore the many stops in and around the Canary Islands. A Royal Caribbean cruise lasting ten or eleven nights departs from Southampton before cruising to Vigo in Spain. You will also stop at Lisbon in Portugal before moving on to Gran Canaria in the Canary Islands. Tenerife, Funchal and La Coruna are also on the cards, and the cruise terminates at that last stop. Another Canary Islands cruise offers the opportunity to enjoy fourteen nights on board a Fred Olsen ship. This cruise combines the Canary Islands with nearby Morocco as well, extending the holiday and providing even more experiences for you to sample. Departing from Southampton in the UK, the cruise heads to Funchal in Madeira before heading on to Santa Cruz in La Palma. It then moves on to La Gomera, Tenerife, Lanzarote and Morocco, before visiting Portugal on the way back across the sea to Southampton. Another extended cruise from this company lasts for eighteen nights and focuses on offering a trip to the Canaries coupled with Africa as well. Here the itinerary begins in Southampton and crosses to Madeira before heading on to La Palma and Gran Canaria. Tenerife is also on the menu for the Canary Islands, before the ship heads to Senegal and the Gambia. The Cape Verde Islands are also included before the cruise comes to an end in Tenerife. Thus if you wanted to extend your holiday with a stay in Tenerife, this type of cruise would be ideal to book. As you can see there is a lot of variety here so it is wise to consider how long you want your cruise to last and which specific Canary Islands you would most like to visit. Many cruise lines offer Canary Islands cruises, giving you ample opportunity to find the right one for your needs. Big name cruise companies including P&O Cruises, Royal Caribbean, the Norwegian Cruise Line and Crystal Cruises are all major players in the market. However you can also look at other providers such as Virgin Holidays and Thomson Holidays, which both present a selection of Canaries cruises provided by an assortment of cruise lines. One of the advantages of choosing Thomson is their unrivalled flight options – you can depart from many UK airports to join the ship in Tenerife (Santa Cruz) or Gran Canaria (Las Palmas). A popular option with Thomson is a fourteen night cruise & stay which involves a stay in a four or five star hotel in your choice of Tenerife or Gran Canaria. But whoever you decide to sail with, you can be sure a holiday to the Canary Islands is completely unique when you decide to travel by cruise ship.